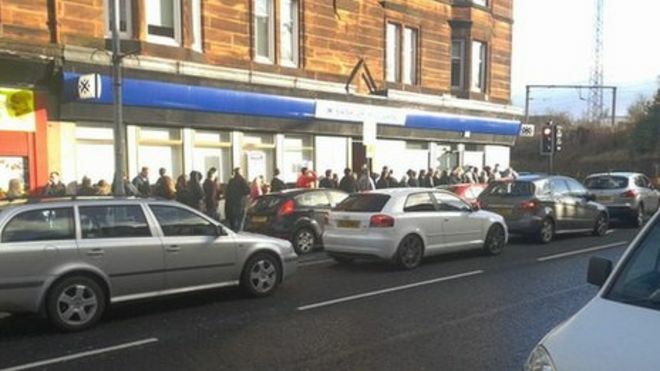 Dozens of people have been queuing to withdraw money after a bank machine began dispensing extra cash. Strathclyde Police said they were alerted to the incident at the Bank of Scotland, on Stonelaw Road in Rutherglen, around Saturday lunchtime. Officers went to the scene and alerted the bank, who were able to switch off the machine remotely. The Bank of Scotland said the branch would "contact any customers who have been affected".